One of the main reasons people buy a home of their own is because they see it as an investment. Instead of paying rent that will never be recouped, homeowners are working towards increasing their assets with each mortgage payment. 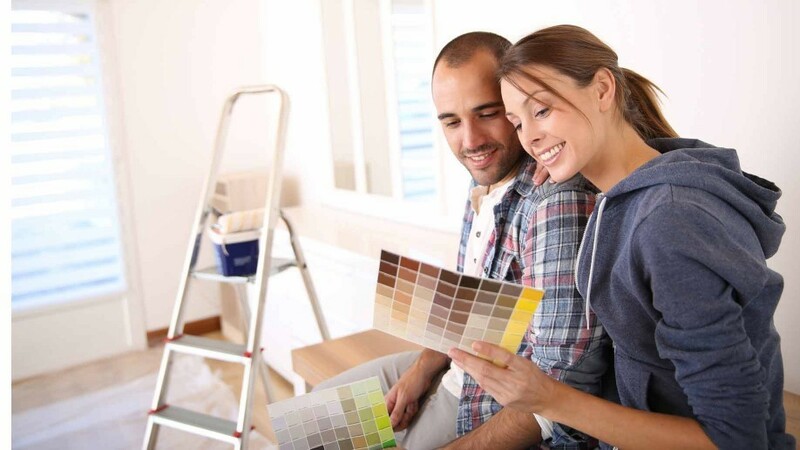 In addition to paying down a mortgage and market appreciation, a homeowner can increase the value of their home by making improvements. The trick is knowing which improvements are worth your time and money. Here’s a look at several home improvements that are most likely to improve your home’s value and a few that probably won’t. The one room where a remodel makes the most difference to buyers is the kitchen. The key to adding the most value is focusing on specific improvements and avoiding over improvement. The remodeling experts at Gilman’s Kitchens + Baths have offered kitchen design San Francisco homeowners have adored for nearly three decades. They’ve seen kitchen trends evolve over time, and note that homeowners have to think hyper local. What’s happening in your neighborhood matters most. If everyone else has marble countertops, then it makes sense to invest in this high-end material. But if everyone else has laminate, marble would be an over improvement for the area and you won’t get a high return on your investment. On average, minor kitchen remodels have one of the highest returns on investment. Take a hard look at your kitchen and identify two or three elements that need the most updating. One way to upgrade your kitchen without making a huge investment is painting the cabinets. If your cabinets are real wood sanding and painting them will make the kitchen look more modern for a fraction of replacing everything. Add styling hardware and the cabinets will look brand new. However, if the cabinets are badly worn or made of a subpar material, replacement could be warranted. The front entry is an important space for a few reasons. It helps a positive first impression among visitors. It’s also an important security feature given that many burglars use the front door to gain entry into a home. You can improve both the look and security by installing a steel front door. Also, consider ways you can improve the appearance and functionality on either side of the front entry. On the exterior, power washing the entrance and cleaning up the landscaping can dramatically improve curb appeal with very little investment. On the inside consider how to can make the entrance look larger and flow into the living area. Adding full-length windows on either side of the door can add light and make the entrance look grander. Simply clearly out clutter can also make a difference. According to Remodel Magazine’s annual Cost vs. Value report, adding fiberglass attic insulation is a big value booster. Although it doesn’t add to the aesthetics of a home, it does greatly improve energy efficiency. This, in turn, can improve comfort, which is also a positive. Remodel Magazine estimates that the cost of attic insulation has a recoup value of 107.7%. That means you’ll actually make money off this upgrade. Unfortunately, not all improvements pay off. There are several home improvement projects that have historically not given homeowners a good return on their investment. If they’re something you want to add for your own pleasure while you’re in the home, by all means, go for it. But if you’re top priority is adding value you may want to shy away from these projects. Some homeowners are surprised to learn that a pool is one of the improvements that won’t sell a home. In fact, it could turn off many buyers that don’t want the added maintenance or having safety concerns. The truth of the matter is many people prefer showers over baths these days. Your money would be better spent upgrading and expanding the master shower. Unless you live in an area where the power goes out regularly, adding a backup generator does little to add value. Remodel Magazine has found that nationally backup generators have an ROI of just 54%. If improvements and fixes are needed or you plan to stay in the home for years and want the improvement for yourself, then the return on investment is a little less important. However, if you plan to sell within the next 2-3 years let the recoup cost guide your decisions.